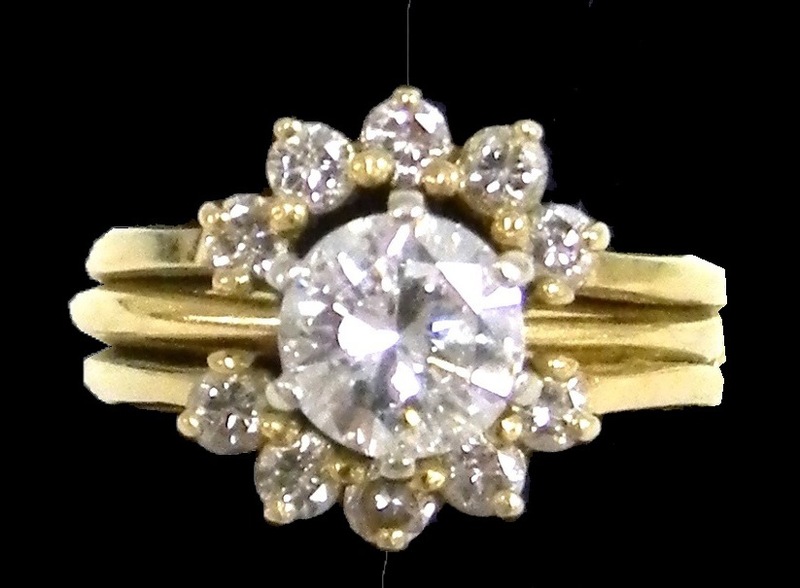 Lot 123: JEWELRY: Diamond engagement ring and wedding insert set, 14K yellow gold, engagement ring: six prong crown holds one round brilliant cut diamond, approximately 1.02 ct., H color, I1 clarity, total weight: 2.3 gm., 1.5 DWT. ; insert ring with with ten small round full cut diamonds, approximate total weight 0.50 ct., I-J color, I1 clarity, 3.1 gm. 2.0 DWT.